It’s been a while since I’ve looked forward to a sequel as much as I have to Anthony Warner’s follow up to his first book The Angry Chef. It made me laugh (no, guffaw), it made me angry and it was terrific fun. I looked forward to more of the same. However, within the first couple pages of The Truth About Fat, it became clear that the book wasn’t at all what I was expecting. Whereas The Angry Chef is akin to a collection of essays covering several different subjects, The Truth About Fat is an entire thesis looking at a single issue. Within the first few chapters, everything you think you know about the narrative around obesity and health is brought crashing down. And once you’re gripped, Warner doesn’t let go. As methodical as ever, he lays it all bare – the current state of affairs with the obesity ‘epidemic’ (and why it’s not what we think), its perceived causes (and why they’re not what we think) and finally, things that we as a society should be doing differently (it’s not what you think). Discussing biochemistry, psychology, economics, sociology and politics, Warner’s insight and research into the subject are hugely impressive. 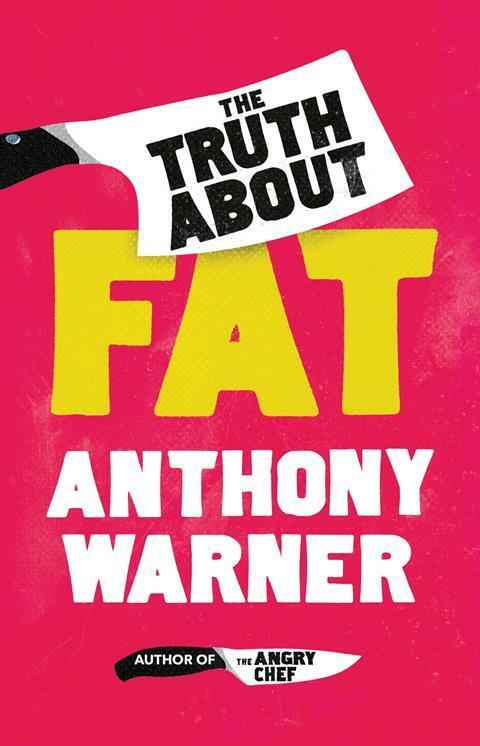 For fans of Warner’s first book, The Truth About Fat also represents a marked change in tone. If how you express anger is an indication of your maturity, then this book is Warner growing out of his Angry Chef blogger roots. It is a lot less shouty and a lot more serious, but perhaps because of this a lot more compelling. Replacing much of the humour and outrage is empathy and humanity, including a heartfelt and persuasive plea to all of us to change our attitude to obesity and those who live with it. The Truth About Fat is a book that subverts expectation, from the change in style to the countless revelations contained within. However, it still delivers on quality. There is no sophomore slump here. Warner’s timely follow up to his excellent debut pulls no punches. Some may prefer his previous colloquial writing, but The Truth About Fat is an altogether more educational, contemplative and sincere look at a thoroughly deserving subject. It’s a book that everyone should read.